Speeding cars, motorbike chases, skydives and jumps out of helicopters are all in a day’s work for Ethan Hunt, the main character played by Tom Cruise in the hugely popular Mission: Impossible films. 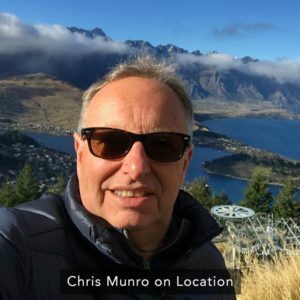 Recording the sound for them, however, is the job of Oscar and BAFTA Award-winning Production Sound Mixer Chris Munro who recently completed Mission: Impossible – Fallout his second MI film and the sixth in the series. DPA microphones played a key part in the success of the film’s audio as the company’s d:screet 4060 Slim Lavalier and d:screet 4061 Miniature Omnidirectional Microphones were used to record dialogue and sound effects on set at various locations around the world. With films like Mission: Impossible – Rogue Nation, Mission: Impossible- Fallout, Wonder Woman, Captain Phillips, The Mummy, five James Bond movies, Spider-Man, Ready Player One and the Oscar-winning 2014 space adventure Gravity to his credit, Chris Munro is undoubtedly film sound royalty – a man whose talents are greatly appreciated by directors such as Steven Spielberg, Ridley Scott, Guy Ritchie, Paul Greengrass, Ron Howard, and Alfonso Cuaron.